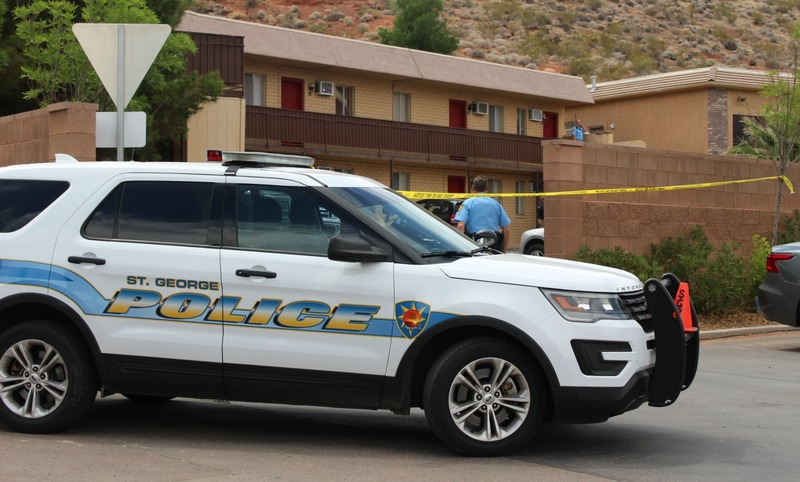 ST. GEORGE — Police are investigating in incident involving a body discovered Wednesday inside a St. George apartment. Around 2:15 p.m. authorities were dispatched to an apartment complex in the area of North Bluff Street after a call to 911 reported the discovery. The caller had found the body while checking on either the apartment or the tenant and also found “conditions that concerned them and called police,” St. George Police Capt. Mike Giles said. After officers responded, detectives were called in to conduct an investigation and process the scene. As a measure of caution, these types of cases are typically considered criminal investigations until foul play can be ruled out. “We treat all unattended deaths as a potential homicide until we prove otherwise,” Giles said. In cases of unattended death investigations, representatives from the Washington County Attorney’s Office and the Medical Examiner’s Office are called in. The Medical Examiner’s Office was en route to the scene at the writing of this report, and the body will be transported to Salt Lake City for the autopsy. No further details were available as this report publishes. This report is based on statements from police or other emergency responders and may not contain the full scope of findings. St. George News reporter Mikayla Shoup contributed to this report.